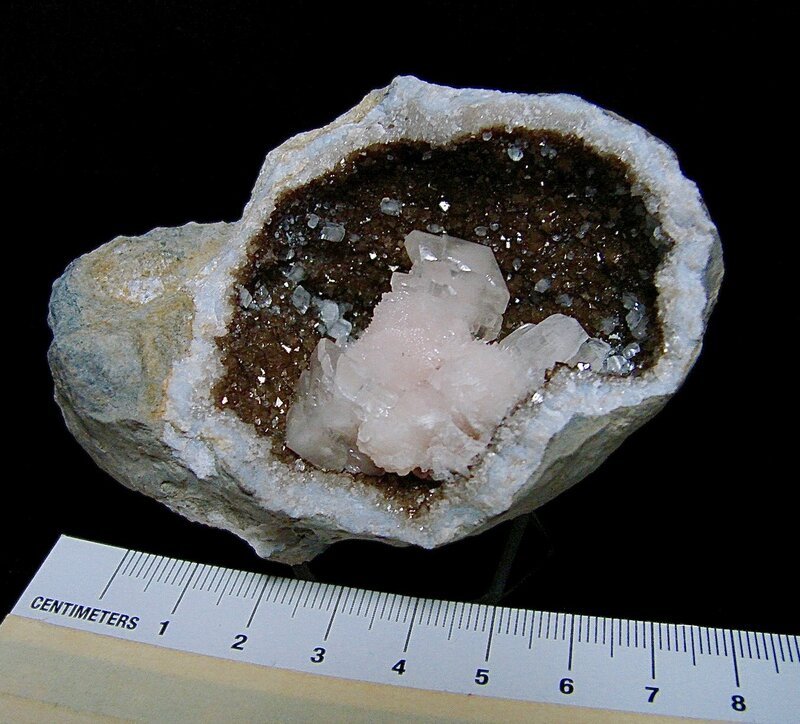 Calcite on Calcite - Keokuk, USA - geode is 6.3 cm the double terminated calcite is 3.2 cm. Dimensions: geode is 6.3 cm the double terminated calcite is 3.2 cm. Description: Pink rhombohedral calcite on small clear calcites and brown pseudocubic calcite This geode with the complex double terminated calcite was acquired by me about 2009.